Variations: Snowflake Obsidian, Golden Sheen Obsidian, Silver Sheen Obsidian, Green Obsidian, Rainbow Obsidian, Mahogany Obsidian, Tektite, Apache Tears. 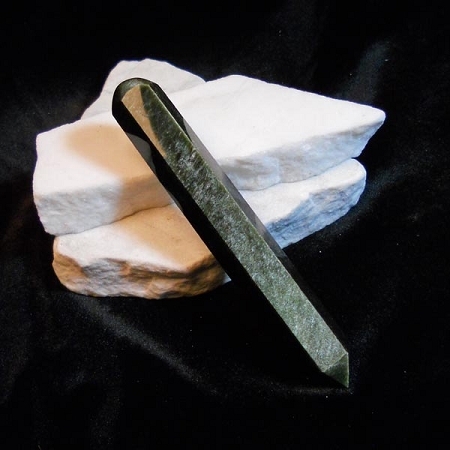 A protective stone enabling one to honor the light in the darkest situations. Many Obsidians come from Mexico.